You will find below the horoscope of Emma Stone with her interactive chart, an excerpt of her astrological portrait and her planetary dominants. Horoscopes having the same aspect Mercury sextile Saturn (orb 0°07'): Cameron Diaz, Penélope Cruz, Mel Gibson, Meghan, Duchess of Sussex, Jessica Simpson, Charles, Prince of Wales, Rocco Siffredi, Jennifer Garner, Paul Newman, Eva Green, Carmen Electra, Alizée (singer)... Find all the celebrities having this aspect. Horoscopes having the same aspect Moon square Neptune (orb 0°43'): Rihanna, Julia Roberts, Kanye West, Brigitte Bardot, Nicki Minaj, Kristen Stewart, Al Pacino, Salvador Dalí, Warren Buffett, Ludwig van Beethoven, Camilla, Duchess of Cornwall, Nicole Garcia... Find all the celebrities having this aspect. Celebrities born the same day: Florent Pagny, Ethan Hawke, Ana Ivanovic, Marc Dutroux, Lamar Odom, Sally Field, Rebecca Romijn, Alain Hadès, Nadine Morano, Maria Shriver, Althea Flynt, Françoise Dolto... List of all the celebrities born on November 6. Celebrities being the same height: Jennifer Lopez, Nicolas Sarkozy, Megan Fox, Meryl Streep, Jessica Alba, Penélope Cruz, Daniel Radcliffe, Catherine Deneuve, Alicia Keys, Juliette Binoche, Kris Jenner, Janis Joplin... List of all the celebrities being 5' 6" tall. Celebrities clicked on in real-time: 577,266,808 times. Stone was born in Scottsdale, Arizona, the daughter of Jeff and Krista Stone, and has a younger brother, Spencer. Stone was a member of the Valley Youth Theatre while growing up, a regional theater in Phoenix, Arizona where she appeared in her first stage production, The Wind in the Willows, at the age of 11. Stone attended Sequoya Elementary School and then Cocopah Middle School for sixth grade. Here are some character traits from Emma Stone's birth chart. This description is far from being comprehensive but it can shed light on his/her personality, which is still interesting for professional astrologers or astrology lovers. 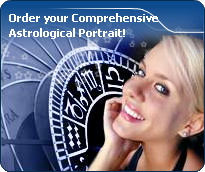 In a matter of minutes, you can get at your email address your astrological portrait (approximately 32 pages), a much more comprehensive report than this portrait of Emma Stone. Emma Stone, the nocturnal North-eastern quadrant, consisting of the 1st, 2nd and 3rd houses, prevails in your chart: this sector favours self-assertion and material security to the detriment of your perception of others. You consider self-transformation to be a hazardous adventure. You are inclined to seek stability and you tend to protect yourself with your actions. Possession, acquisition but also communication, without opening up too much, are part of your deep motivations. You are rather autonomous and constant, however it is important that you pay more attention to others, so that you can improve your outcomes. Cheers for communication and mobility, Emma Stone! The predominance of Air signs in your chart favours and amplifies your taste for relations and for all kinds of short trips, whether real (travels) or symbolic (new ideas, mind speculations). You gain in flexibility and adaptability what you lose in self-assertion or in pragmatism. Emma Stone, Fire is dominant in your natal chart and endows you with intuition, energy, courage, self-confidence, and enthusiasm! You are inclined to be passionate, you assert your willpower, you move forward, and come hell or high water, you achieve your dreams and your goals. The relative weakness of this element is the difficulty to step back or a kind of boldness that may prompt you to do foolish things. The emphasis is on succedent houses in your chart, namely, the 2nd, 5th, 8th and 11th houses, Emma Stone: this configuration usually endows a personality with affective and sensitive qualities. Obviously, to the detriment of self-confidence or self-assertion, but your heart qualities may be very important. These houses also favour realization. Time and patience are part of their characteristics. However, they are only indications and you must include them in the rest of your chart in order to see whether they are validated or not! The 3rd, 2nd and 5th houses are the most prominent ones in your birth chart. From the analysis of the most tenanted houses, the astrologer identifies your most significant fields or spheres of activity. They deal with what you are experiencing - or what you will be brought to experience one day - or they deal with your inner motivations. After this paragraph about dominant planets, of Emma Stone, here are the character traits that you must read more carefully than the previous texts since they are very specific: the texts about dominant planets only give background information about the personality and remain quite general: they emphasize or, on the contrary, mitigate different particularities or facets of a personality. A human being is a complex whole and only bodies of texts can attempt to successfully figure out all the finer points. You are sensitive to beauty, Emma Stone, and your emotional reactions are often of an aesthetical order because, even in the appearances, balance and harmony are necessary for your well being. You easily identify with others, you have a talent for emphasizing their best qualities and you solve their problems with tact and diplomacy. You endlessly weigh the pros and the cons and you constantly try to please your interlocutors. In doing so, you may develop a strong dependency because you need their approval too much. It is difficult for you and your entourage to deal with your indecisiveness because it inclines you towards contemplation more than towards creation and you are tempted to procrastinate unless you try to charm others into doing things for you. But as long as harmony prevails... isn't it what matters? Emma Stone, it is impossible to hide it: to love, to be loved and to please, all these activities are at the centre of your life. Because you loathe solitude, you are constantly looking for company, and if possible, for an amorous company. It does not mean that you are full of passion all the time: you are refined, delicate and charming and you skilfully make use of customs with moderation and balance, without losing sight of your personal interests. You are ready to adjust and to compromise in all circumstances. You want to love and to remain integrated in your society: love gives precedence to propriety, which is fundamental to you. You are particularly gifted for this game of refined courtesy and politeness where appearances are at least as important as contents; you are able to show what you feel like showing and you achieve your ends with elegance, gentleness and goodness. These are precisely your main assets. Impulsive, impatient, quick and energetic? You? Yes of course, Emma Stone. You are courageous and able to make intense and huge efforts for a short while; and what a terrific rhythm! In sport, of course, or in your sexuality, you are not the type who ponders, you take action instinctively, “in a rough and ready way”. You are outspoken, you do not worry about other people's opinion and you do not allow them to slow you down or to judge you. You must succeed or fall apart. You cannot be bothered with diplomacy or with compromises. You are too straightforward and unyielding to waste time with finesse or shrewdness. This is what makes you charming because, with you, one always knows where one stands. This text is only an excerpt from of Emma Stone's portrait. We hope that it will arouse your curiosity, and that it will prompt you to deepen your knowledge of astrology, as well as to visit and use the wide range of free applications at www.astrotheme.com.